Happy New Year! I hope you all had a wonderful holiday season 🙂 What better way to get this new year started than with a sneak peak of the floats that will be in the upcoming Festival of Fantasy parade?! 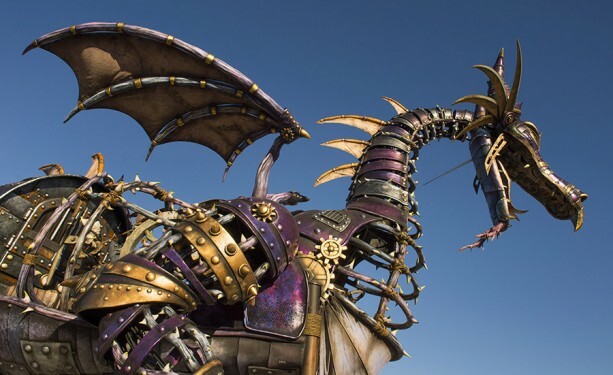 The folks over at the The Disney parks blog shared these awesome pictures of the steam-punk inspired Maleficent float that will be ferociously flying through the streets in the newest parade over at the Magic Kingdom. Check it out! 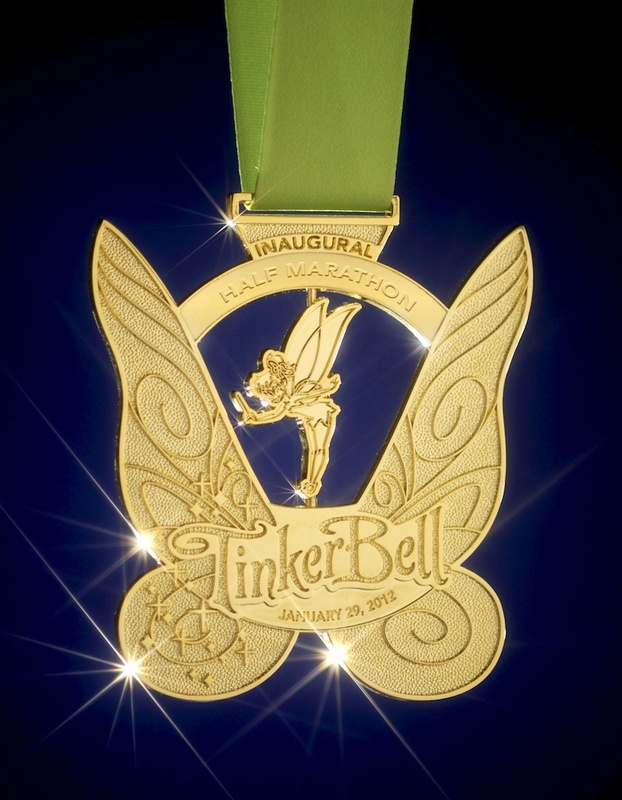 The “Disney Festival of Fantasy Parade” is making it’s debut this spring! 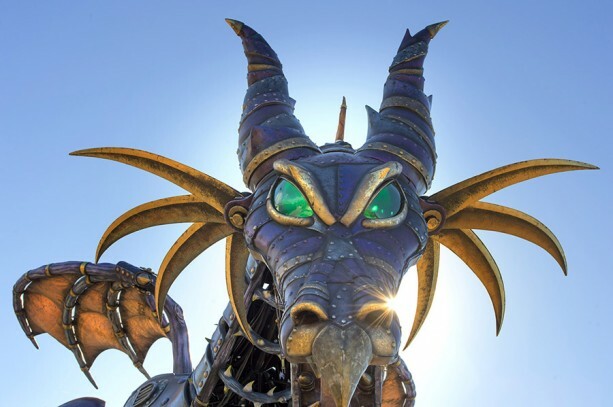 Who else is excited to see Maleficent in person?! As the Magic Kingdom heats up, Disney’s animated film Frozen is keeping things cool this week. 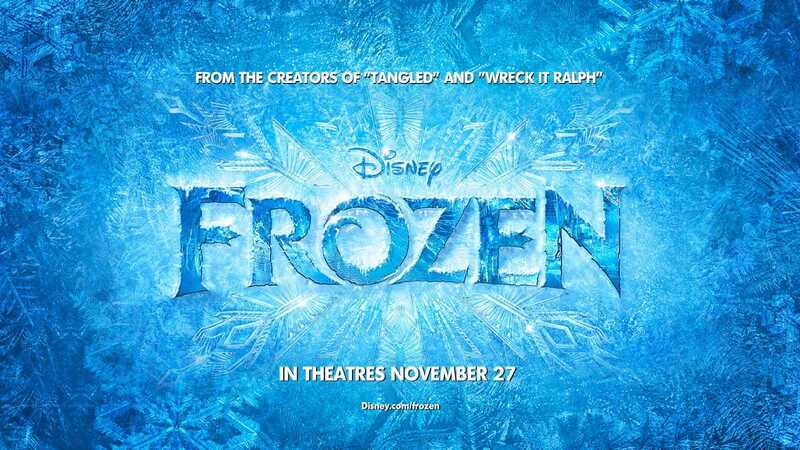 Not only did the film take home the Golden Globe for Best Animated Film, it looks like Frozen is heading to Broadway! What are your thoughts on Frozen heading to Braodway?